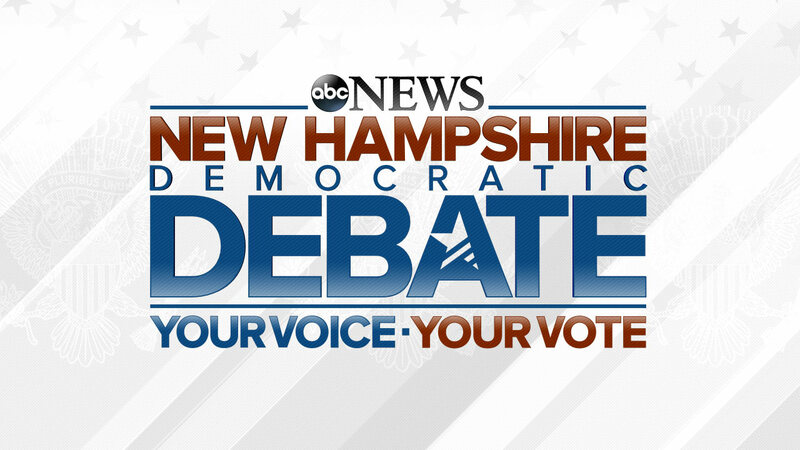 MANCHESTER, NH -- ABC News is providing live coverage of the New Hampshire Democratic Debate, including live analysis and commentary before, during and after the debate. Hillary Clinton, Bernie Sanders and Martin O'Malley will take the stage at Saint Anselm College in Manchester. ABC News will provide live coverage beginning at at 7:00 p.m. Saturday on Channel 13, abcnews.com and right here! The debate is sponsored by ABC News and the New Hampshire Democratic Party. World News Tonight anchor David Muir and ABC News' Martha Raddatz will moderate. Saturday's debate is the last of the year. The Republicans are set to debate again on January 14, while the Democrats meet on January 17, 2016.